Paul Morton has been illustrating and designing and running Hot Frog Graphics studio for over 25 years, working for a variety of national and international clients. 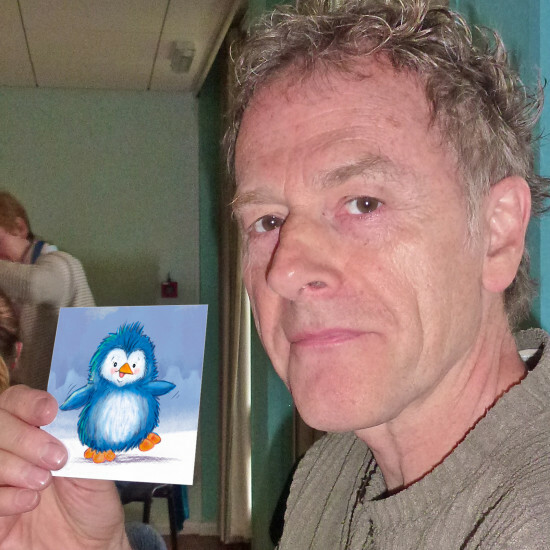 As well as making a mark in the advertising world Paul has a deep passion for children's books. 'I'd like to try and re-create that special, ethereal charge in the air that children can feel all around at Christmas time. If I could imbue my children's picture books with that kind of magic then I'd be very happy' Paul has illustrated a number of books, most recently The birthday that went with a bang featuring Felix the First Aid frog. He currently has his own PB, written and illustrated, out on submission. Paul also illustrates children's boxed games, and has notched up over 30 titles to date.